Good environment and good education can change someone’s thinking and purpose of life for good. The same happened with Asharam Durvay, a student of Ghoghrakhurd, a small village in Kawardha. He is currently studying and staying in the hostels set up for the youths of the Baiga tribe of Kawardha. 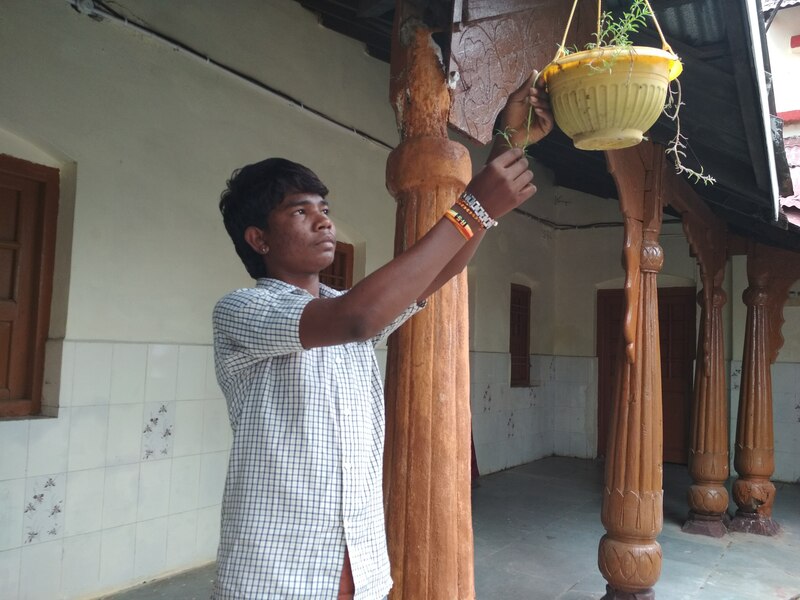 Asharam said that when he went there for the first time, he missed his home and the family with whom he stayed all his life until now. He did not want to stay there in the hostel at all. Slowly and steadily he started to get accustomed to his new life in the hostel, which shall enhance his future prospects. But now he doesn’t wish to return to his village. He is studying in 11th standard in the arts stream and wants to serve the country by becoming an IPS officer. 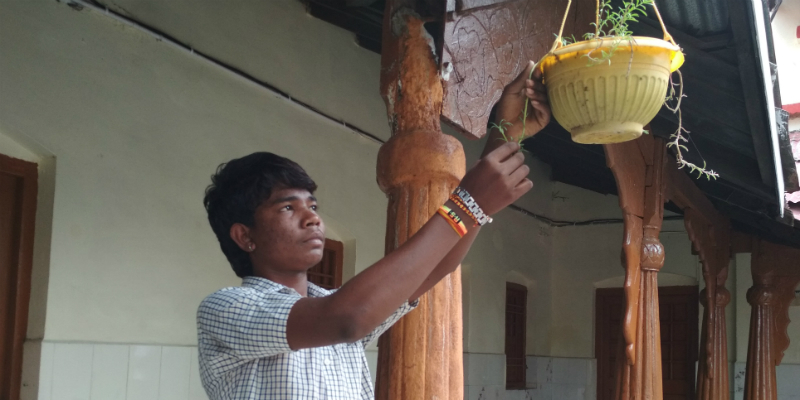 Earlier, Asharam was staying with his parents in the village and studying. His father Amar Singh is a farmer and his mother Rehmat Bai is a homemaker. Elder brother is married, therefore, he is busy managing his own family’s responsibilities. One of his other brothers works as a shepherd. He takes the cattle of entire village to the jungle and returns in the evening. Overall, the family life of this family is also leading like any other family of the Baiga tribe. Until recently, they weren’t interested in education at all, but today they are more aware. Therefore, when his family came to know about the newly-opened hostel in Kawardha, Amar Singh got determined to teach his son. Asharam was brought to Karwadha and was admitted to the hostel. This was the first time Asahram had come out of his village, so he wasn’t very comfortable. But his family, teachers and administration officials made him see the larger picture. He understood and decided to stay back. Initially for about 10-12 days, he did feel strange. He did not feel like studying. The desire to go home would keep coming back. But as he started making friends in the hostel, he gradually started liking it there. Now even he is working hard to score good marks and ensure a great future for himself. He says that hostel facilities are good and that the government is doing a lot for them. He is studying in 11th standard with arts subjects. His Teachers say that if he does well, he can definitely clear the UPSC exam and join the civil services. This inspired Ahsaram decided to become an IPS officer. Now he is studying hard to realise his goal. Many other Adivasi children like Asharam are getting education by staying in hostels. This initiative of the government has made the Baiga tribe really happy. The families of children like Asharam, who are living in the hostels, are dreaming and hoping for their brighter future. Free coaching has developed their interest in studies. The government believes that that only education can improve the lifestyle of Adivasis of the Baiga tribe. Good education will inculcate good thinking in the minds of the coming generations.